Trees can be a wonderful addition to any urban environment, including residential streets, local parks, or your own private garden. Not only do trees look beautiful, they provide us with seasonal colours, fruits and nuts, summer shade, and a natural habitat for wildlife. To keep trees healthy and looking great, they need regular care. This is where professional tree care and tree surgery comes in. Our fully trained team at Ricky Tyler Landscapes can carry out all types of tree work, from regular pruning and replanting, to chopping down dead or diseased trees and removing the stump. We are experienced at carrying out tree work in small, often inaccessible gardens, as well as on large estates and local authority areas. Wherever there are trees that need care, we can help. We are also experienced at operating in conservation areas where trees are often protected by a tree preservation order (TPO). Planning permission is required to remove any trees covered by a TPO, and we can apply for approval on behalf of clients, where necessary. Once we’ve completed a job, we remove all clippings, leaves, branches and other waste materials, to be recycled as woodchip, sold as kindling or firewood, or used to make bespoke items of furniture. Tree surgery can be hazardous work and should only be done by qualified and insured tree workers. Our staff use modern methods and are certified to work with a range of equipment and materials for their own protection, and to ensure the appropriate safety measures are taken in public areas. If you need any advice on tree care or want to find out more about the service we offer, please contact us today. The trees in your garden will be looking their best in no time! 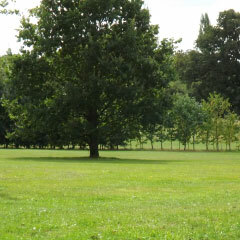 Ricky Tyler Landscapes can provide gardening and grounds maintenance services including Tree Surgery covering London, Essex, Hertfordshire, Northampton, Buckinginghamshire & Bedfordshire .